Come In & Be Thunderstruck! 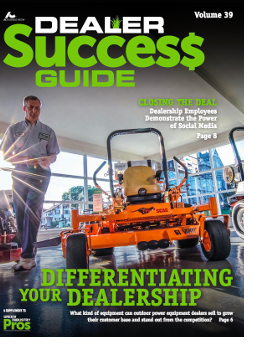 in the Dealer Success Guide. 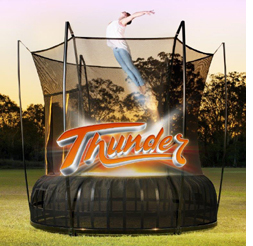 offers one-stop shopping for grills, basketball systems, swingsets and power equipment. Our knowledgeable sales staff, service and great selection distinguish us from the "other guys." A family run business for over 50 years, we're your resource for quality recreation and leisure equipment. NOT JUST a lawnmower shop... in fact, our power equipment product lines include chainsaws, string trimmers, handheld blowers, generators, pressure washers and, yes: lawnmowers too. As certified dealers we're confident that you'll have a resource for any questions or future maintenance issues. 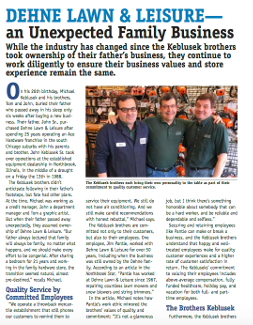 Dehne Lawn & Leisure is a servicing dealer, and has two full time mechanics. Our product lines include Lawn Boy, Toro, Ariens, Stihl, Echo and Honda. Need extra storage?Check out our Shedcraft Sheds. Quality wood sheds that come in over a half dozen styles, each made to your size requirements. When you're done with yard work, kick back and enjoy cooking on one of our BBQ grills! 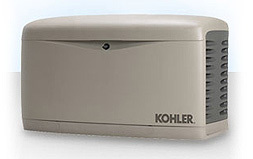 We carry Broilmaster and Weber. We don't have managers here...We are equal partners in our mission to provide you with the best customer service. Each of us has extensive product knowledge about and years of experience selling lawn equipment and our leisure products. Service and Parts We are an Original Equipment Manufacturer (OEM) which means that we are an official parts dealer. Translation: no aftermarket products that may adversely affect your equipment. Come in with the manufacturer, make and model, and we'll find the right part. If we don't have it, we'll order it. E-mails work well with parts! Type in the make and model number, and we'll let you know when the part will be available for pick up. Dehne Lawn & Leisure: Where quality meets value. Come in and see our showroom! Our display includes a large selection of power equipment, basketball systems, grills, wood sheds and swingsets. You'll be pleasantly surprised by the extend of our inventory, and our competitive prices. Buy local, buy from a dealer. We're located close to the corner of Techny and Shermer at 1930 Techny in Northbrook Illinois. © 2019 Dehne Lawn & Leisure, Inc.
Website Development & Hosting: ProPlanet Internet Solutions, Inc.